To make it work you have to do the following. 1. Download the macro and also the overlays.zip file. 2. 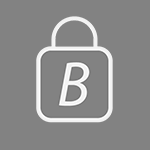 Extract the overlays.zip file to c:/ or wherever you want. 3. Hook the macro up to your terrain and then double click it, click "enter macro"
4. In the top left corner there are 2 colorizer nodes and 3 input file nodes. 7. 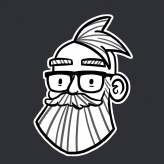 Double click on the top file input node and then click open file and navigate to your overlay folder and choose cliff1.png. 8. Double click on the 2nd file input node and then click open file and navigate to your overlay folder and choose cliff2.png. 9. Double click on the 3rd file input node and then click open file and navigate to your overlay folder and choose main1.png. 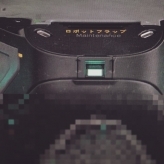 This is to link the macro with the overlay textures. Play around with the parameters and have fun! Please post screenshots to this thread so I can see how it is being used. Thanks and enjoy. This is optional but shows how it can be used. 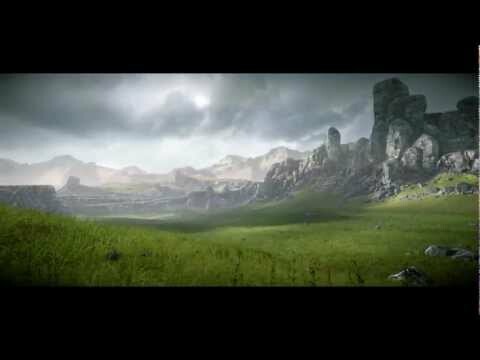 Hi all, I just wanted to share my world machine macro, I adapted it from the "coastal overlay" macro to give me more control over the look and feel of my worlds with minimal work. Screenshots of the above color map applied to terrain in cryengine3, no editing at all was done, I just imported the heightmap, terrain texture, and added some grass. I would advise adding detail in mudbox and rendering a higher res ambient occlusion map for a better finish. Max cliff slope: Selects the angle of slope where rocks will be. Max beach height: Selects the altitude of beaches. Sun heading: controls which direction the sun is facing. Sun altitude: Controls how high in the sky the sun is. 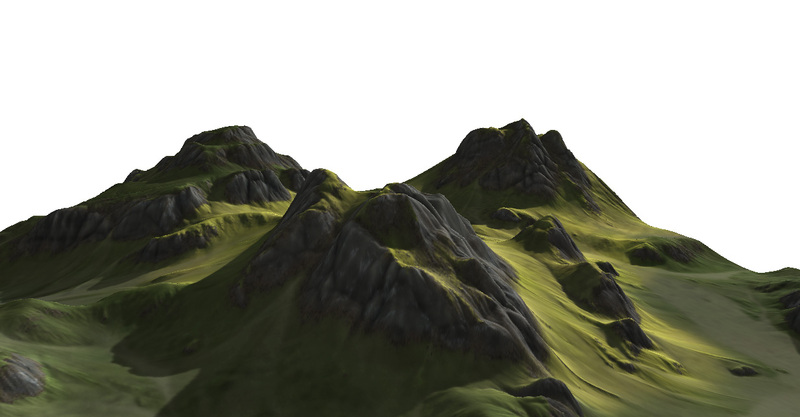 Sky lighting: Sets the overall brightness of the terrain. Cavity map intensity: Darkens the cracks and grooves (keep this low). Main grass color: changes the color of the ground. Highlight grass color: Changes the color of the ground where there is a break in the clouds. Rock color main: Selects the overall rock color. Rock color worn: Changes the color of the rock where it has been eroded most. Ambient occlusion multiplier: Increases the strength of the ambient shadows. 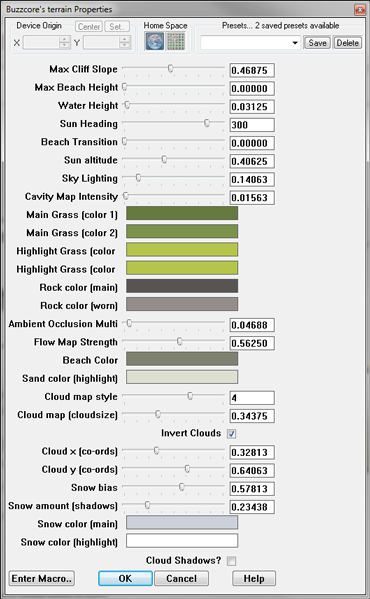 Flow map strength: Controls how visible the flow erosion paths are. Beach color: Sets an overall sand color for beaches. Sand color highlight: Sets a color for sand where there is a break in cloud coverage. Cloudmap style: Toggles different cloud effects. Cloudmap size: Sets how large the cloud coverage is. Invert clouds: Simply inverts the cloud coverage. Cloud co-ords: Change the position of the clouds. Snow Bias: Change the overall amount of snow. Snow amount (shadows): Changes the amount of snow left in the shadowy regions of the map. Snow color: Change the overall color of the snow. Snow color highlight: Sets the color of the snow where there is a break in the cloud coverage. 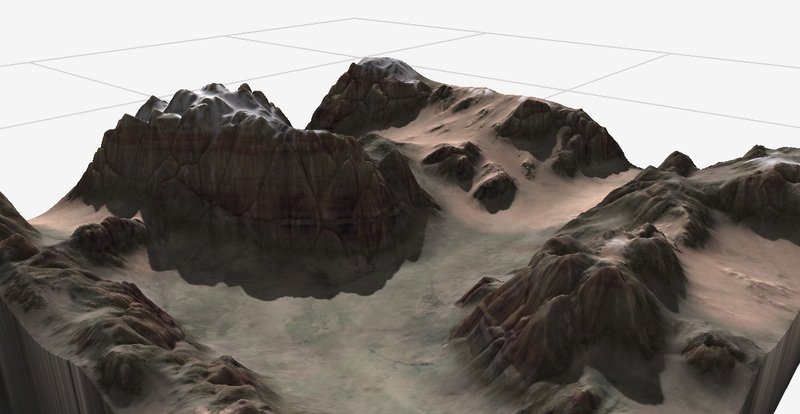 The ability to add a cloudmap to your terrain will greatly improve the overall look and feel of your creations. The snow will not only take into consideration the height of your terrain, but it will also be bias towards the shaded areas depending on which way your sun is facing. Not only this but it will try on fill cavities and adhere to the flow of the terrain. 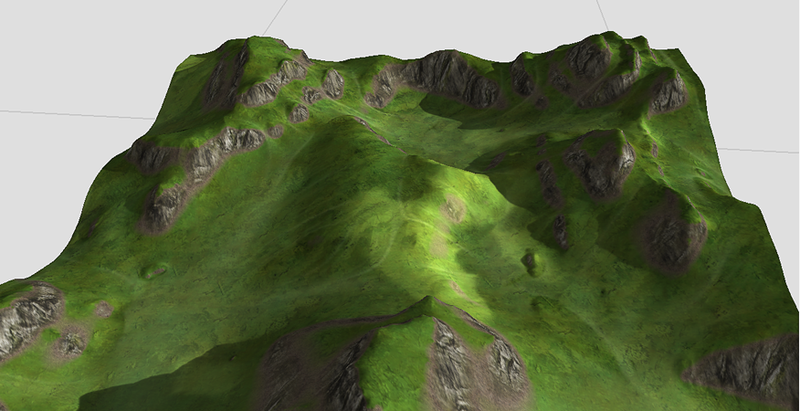 It will also add a little depth to the terrain making it seem more realistic and not just painted on. It comes with many outputs including masks for the rocks, grass, sand etc. 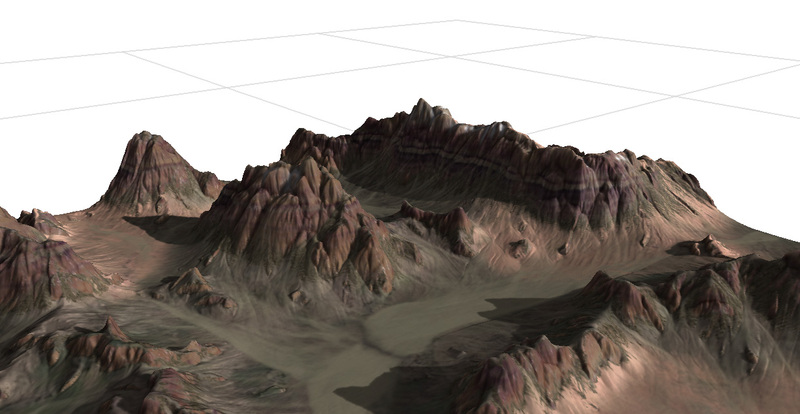 It accepts a primary heightmap, flowmap, wearmap and deposition map. I have saved 2 presets, "Alpine", and "arid" to the macro so you can get an idea of how it works although it is very simple to use. Yeah, Terresculptor is in some ways better, but I just love the flow of worldmachine. My next little project will be dynamic rivers. 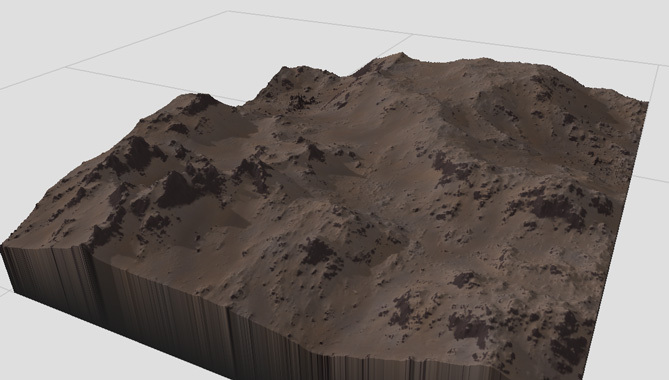 I've been looking at creating my own macro for generating Mars-like terrains. Would this macro suffice? Biggest thing is making the flows almost non-existent considering the lack of water on Mars. Mars was still shaped by water, keep in mind. Yes, I'm actually using real heightmap data from NASA that has all the general water formation features of the landscape. I'm simply referring to the fact that current-day Mars does not have any small-scale water formations like mud flows or runoff. Almost all of the water formations on Mars today are large scale features that have been further eroded by wind, geologic activity, and meteors. By using World Machine I can effectively increase the "resolution" of the erosion since the NASA data is only 1 meter per pixel. Sounds great, try to post some screen shots if you get it to work for you. If you don't mind that is. A cheeky bump as I added screenshots of the macro applied to the cryengine3, thought people would enjoy the results. No problem! I will hopefully release the next version soon, which will be faster, and also come with outputs and instructions on how to apply terrain detail layers automatically in the cryengine. Awesome! 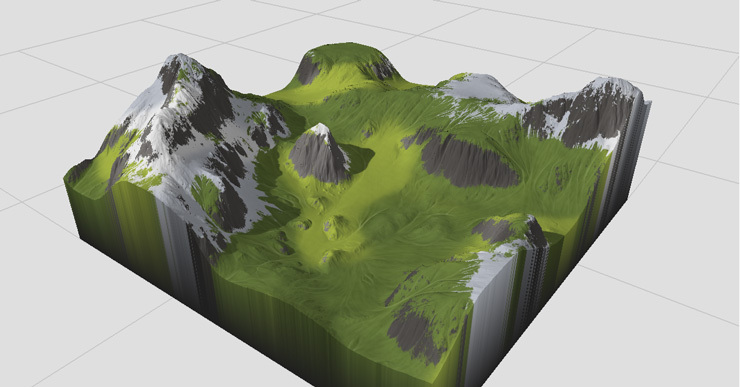 I'm still pretty new to World Machine, but I'll have to check this out. Thanks! For some reason this macro causes World Machine to crash when i open a save that is using it, no clue why which is really disappointing cause it is really good. i seem to get a black screen(in the preview window ) which hinders me from seeing it i have not been able to get this macro to work can one post there setup on getting this to work ? Hi, this version of the macro seems to have a bug in it that will cause it to crash when opening a file with this macro in. I can only apologize and I'm working on a fix. any word on when the update will be? I love you sir, thank you. Hi all, I should have a new and improved version out within the next 24hours, hold tight. 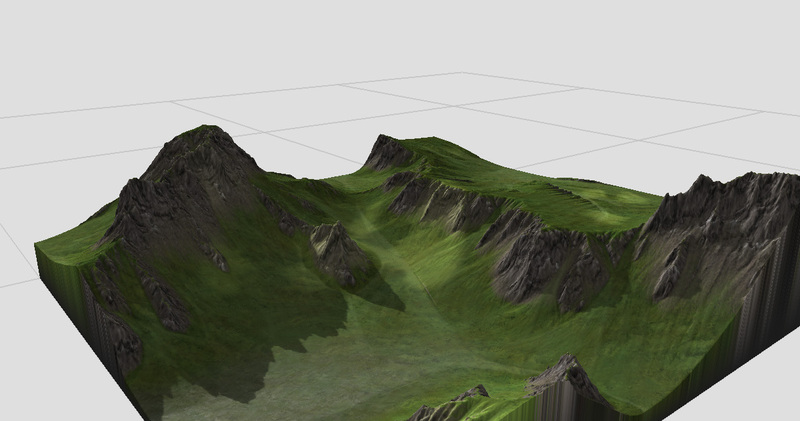 I am working on a terrain for my current project and this will be kind of awesome. Thanks for shearing, hope the bug fix goes well! very good now.hope you can write a tutorial about this work，it's meaningful. render farm :Intel Xeon E5560 * 2, 16 cores with hyper-threading,Win7 64bit. Hold tight guys, been really busy lately but getting closer. In v2 you will have the ability to choose from texture overlays, this will give your terrain more variation and look more real. 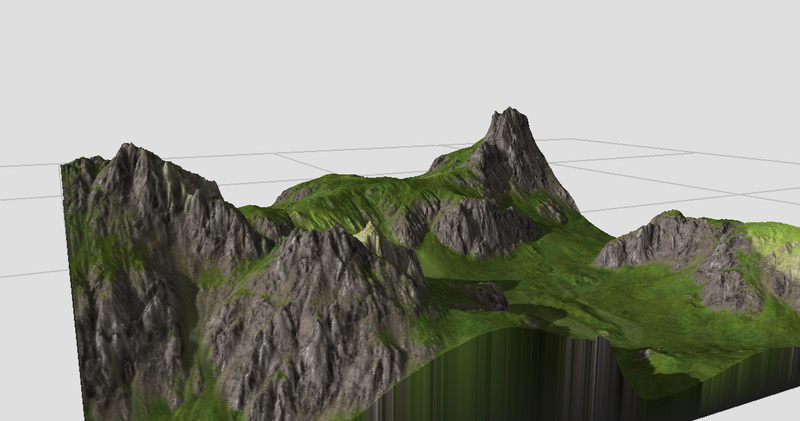 This means that when you import it into your engine of choice, even the distant terrain will look awesome and detailed. NOTE: this is a quick low res render done in entirely in world machine. I have achieved a lot better results in testing. nice the texture overlays look awesome! 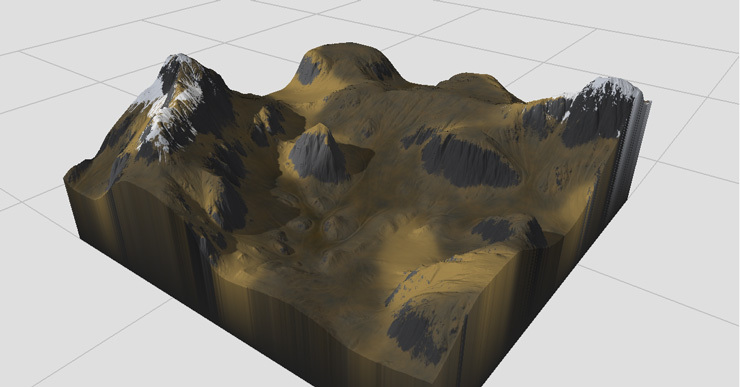 Hey, I've been using world machine for little while, I've been wondering if there is a way to create a more spherical terrain instead of a flat cube? Or is the only way to just edit it in mudbox? Well good news, v2 will output a splatmap so that you can plug it into most of unitys terrain shaders. sweet man, will have to test this out first thing in the morning! Spherical? Do you mean circular? Remember, world machine works only in the z axis so you can't make a terrain shaped like a football. However, if you need to make a terrain that looks like a circular island then this is achievable by masking a perlin generator with a layer shape. Hey guys, once again I am sorry for the delay, I keep on finding new ways to accomplish things and I'm always thinking of new ideas to add. 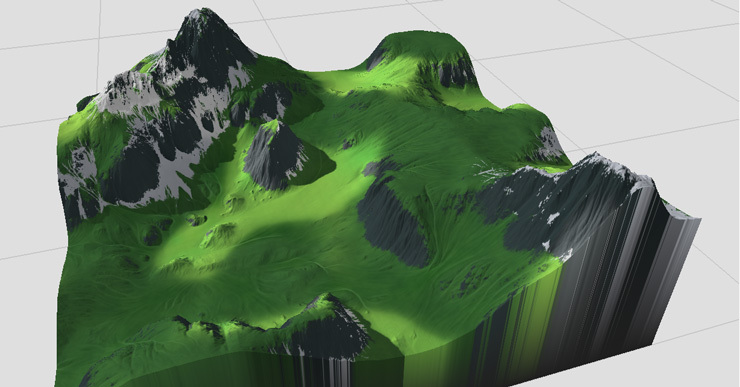 The latest addition is the ability to add detail bumpmaps to your surfaces directly in world machine. This means you han get some ultra realistic shading and detail directly inside world machine. 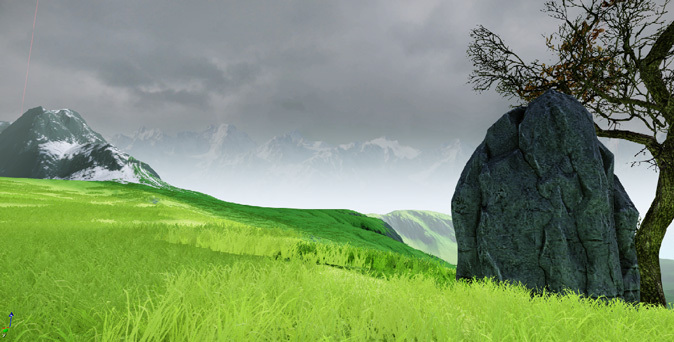 In the image below I have applied a displacement map to the rock faces to add more variety to their surfaces. Wow, The displacement maps addition looks great. Love the variation that it adds. Sometimes with world machine, even with a complicated setup, the end result looks a little too clean. Are the displacement maps available in the version that's up for download? No not yet, this is all coming in v2.0 so stay tuned. I'm working on it all day today so hopefully it will be finished by the end of the day. Once again I can only apologise for the delay with 2.0, I have been experimenting a little with a few features and getting some interesting results like this for example. I really want this macro to be the bees knees and be able to produce some outstanding results for you guys. This macro looks crazy good, I've never seen such nice WM maps. Spent last night refining the method I use to break up and texture the rocks, I want the macro to not rely on any textures but rather generate any textures it needs. I'm looking forward to it! As a World Machine 2 user, I sometimes find support for this wonderful program to be a bit on the sparse side. 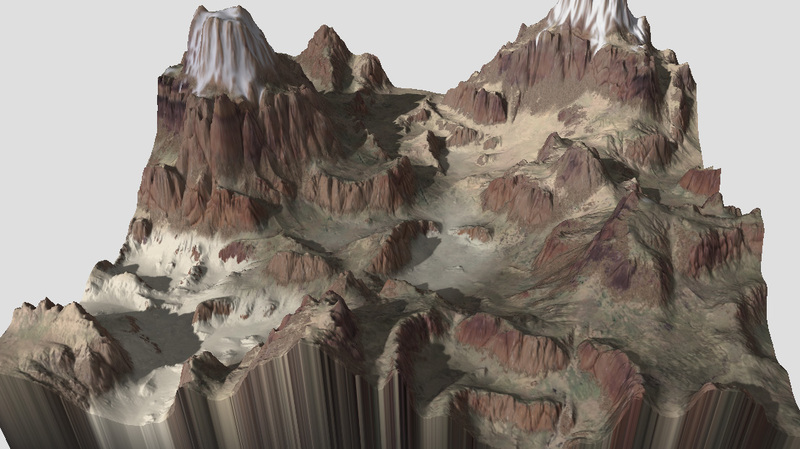 Any time I can see some new clever usages of World Machine, I pay attention. I'm learning by fooling around with it, but still, I find it very useful to see what other people do with it. So I'm looking forward to your next updated macro! These results look nice! Ok, so I have decided to release an alpha version of 2.0, it lacks a lot of outputs and controls but can be used to create some interesting landscapes still. Have you by any chance seen wenda's tuts on youtube? 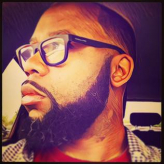 I have yes, he is working for Guerrilla Games now due to his hard work and passion for environment art. His tutorials gave me a lot of inspiration. hey. thanks a whole bunch for doing this. I just loaded it up. Is there a way to get the old, beach height and sand back? Do I have to alter some of the colours to get that effect? Cheers. I will put beach height and colour in tomorrow and upload it. I tried your example file and followed the instructions in the above posts but no luck.I dont know what i might be doing wrong. I've been saving with 'costal overlay' macro and took a screenshot of my settings with buzzcores macro and just reapply it when I need to. I know this is gonna sound stupid but... where do you plug the macro exactly? I'm pretty new to Worldmachine And I'm really unsure about how to approach this. Could somebody post a screenshot so I can experiment with this amazing-looking macro? I'm doing a school project right now involving terrain and I would love to give this a shot. This macro looks very promising. Hi, this new macro should open ok but I will double check and refine it tomorrow. You should have a folder in 'my documents' called 'world machine documents' in that folder there is a macro folder. Put it in the macro fodder. Then in WM click 'macros>open macro' then check the macros you want available and click 'update selected to toolbar'.